When it comes to choosing a fall bridesmaid gown, the rules are a little broader, especially when it comes down to the color palette. 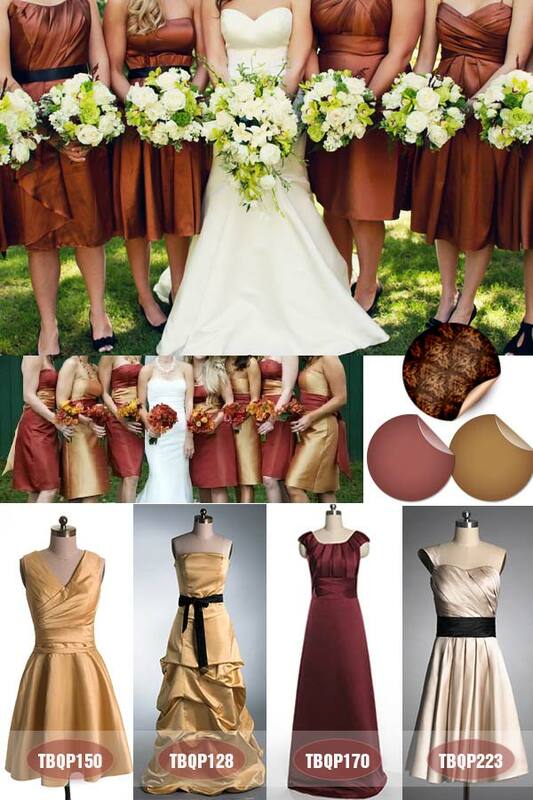 As a general rule of thumb, bridesmaids should opt for something rich in color, a style that is not too warm, neither too cool and above all something that reflects their personal taste and style. Remember that these are your best friends and your top priority should be to make them feel as happy and comfortable as you possibly can. So, don’t forget that your maids may get chilly and to have a back up plan for later, such as cute little cardigans in those rich and vibrant autumnal shades. 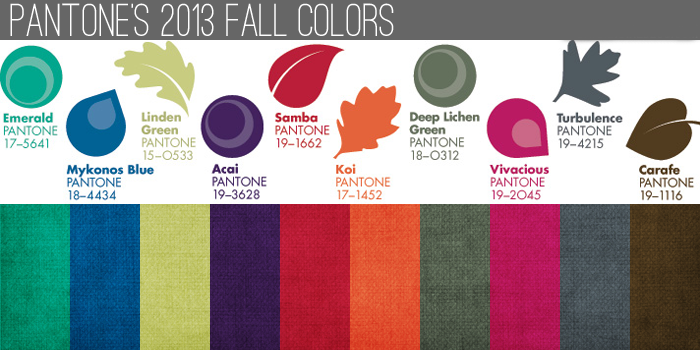 Remember to make yourself happy, so first choose a specific color or theme, for example a rustic boho style. When it comes to color let the maids choose the best shade of that particular color, so that they will feel happy in what they are wearing. Choose a length that is right for the season. Fall temperatures vary depending on location, so just do a little research and don’t get you and your maids caught in dresses that simply don’t match the weather. Come prepared with pull over and cute matching cardigans. 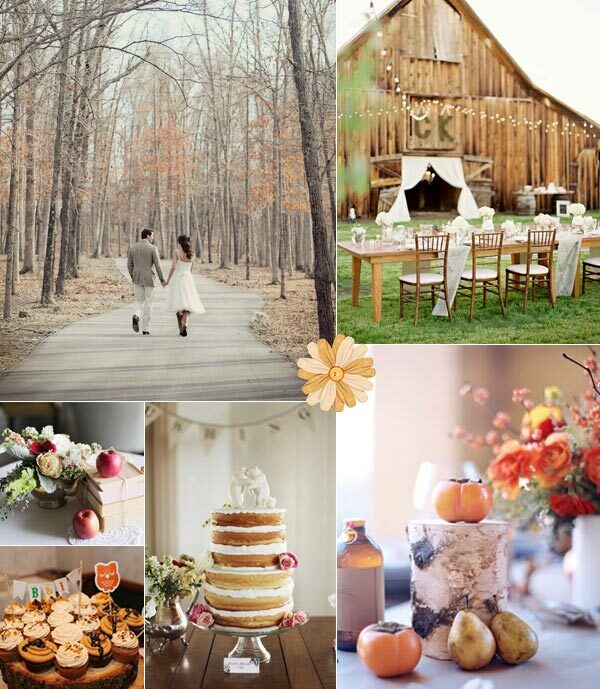 Don’t forget the accessories and bouquets, by choosing some fancy fall accessories and flowers, it means that you can choose simpler gowns for the ceremony. 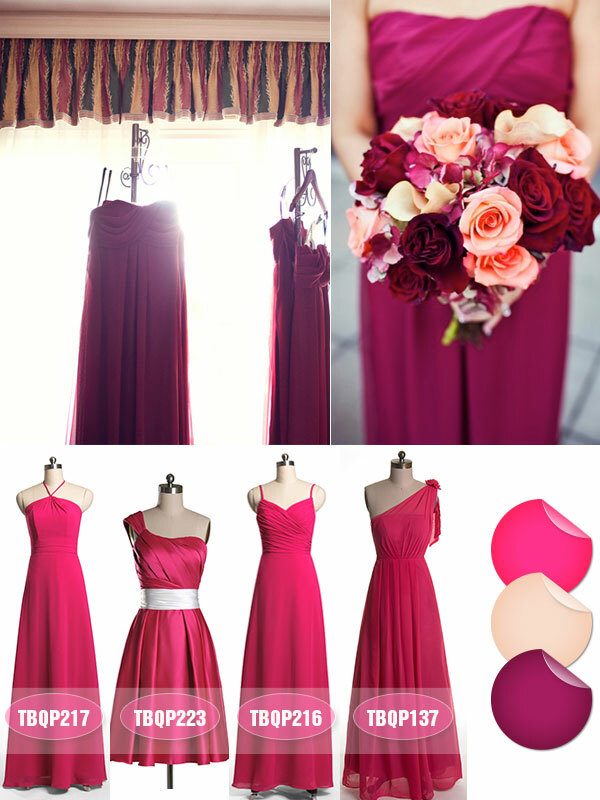 For the coming fall wedding 2013, what colors can brides choose for satin or chiffon bridesmaid dresses? 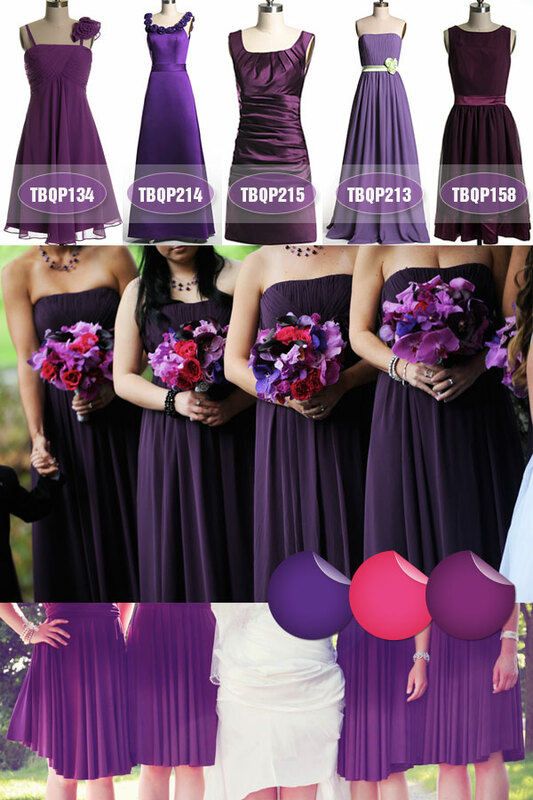 For more purple bridesmaid dresses, please click here. 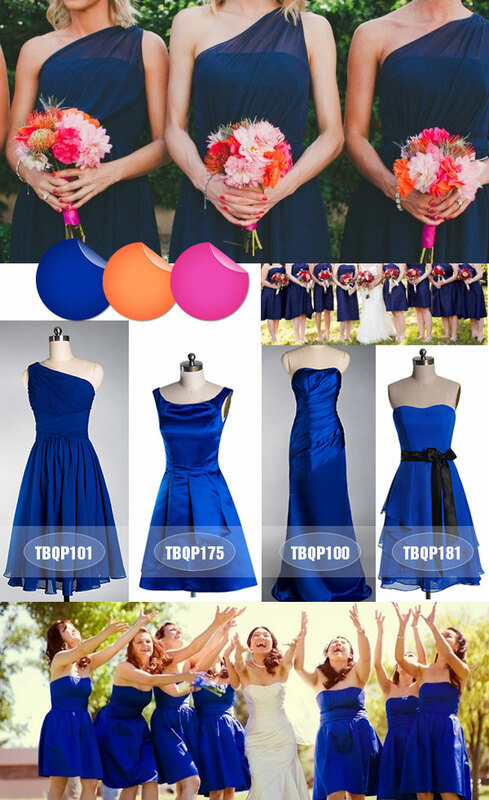 For more blue bridesmaid dresses, please click here. 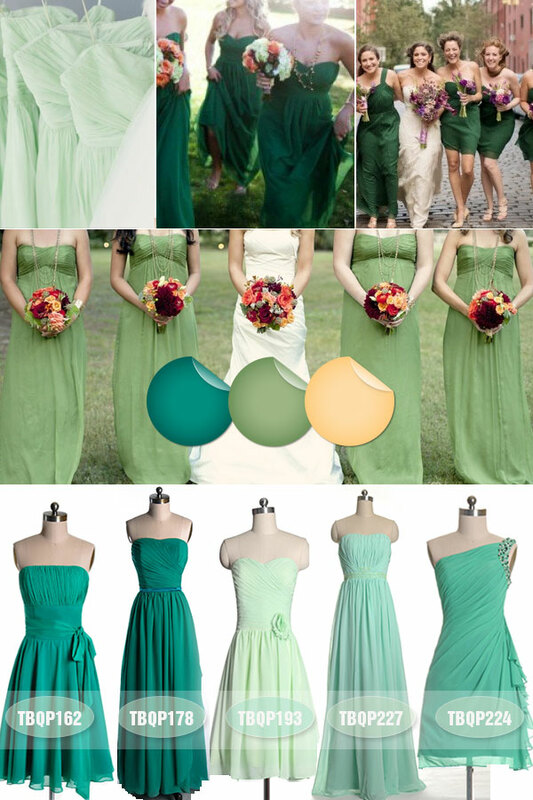 For more green bridesmaid dresses, please click here. 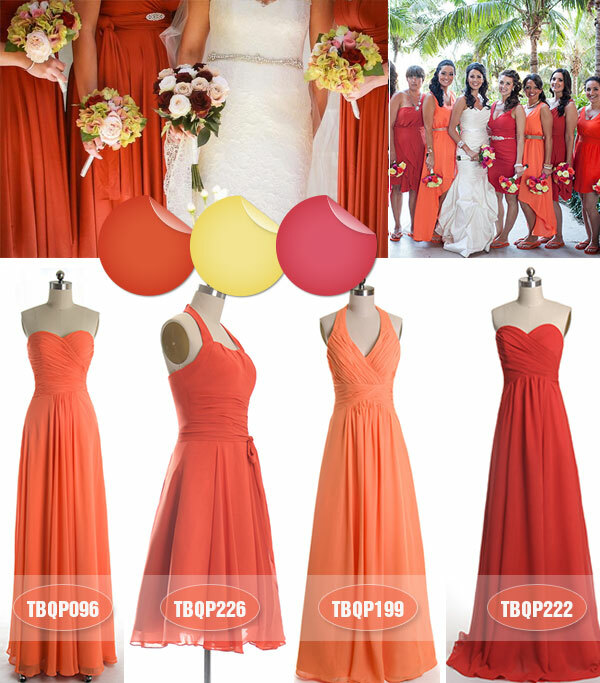 For more orange bridesmaid dresses, please click here. 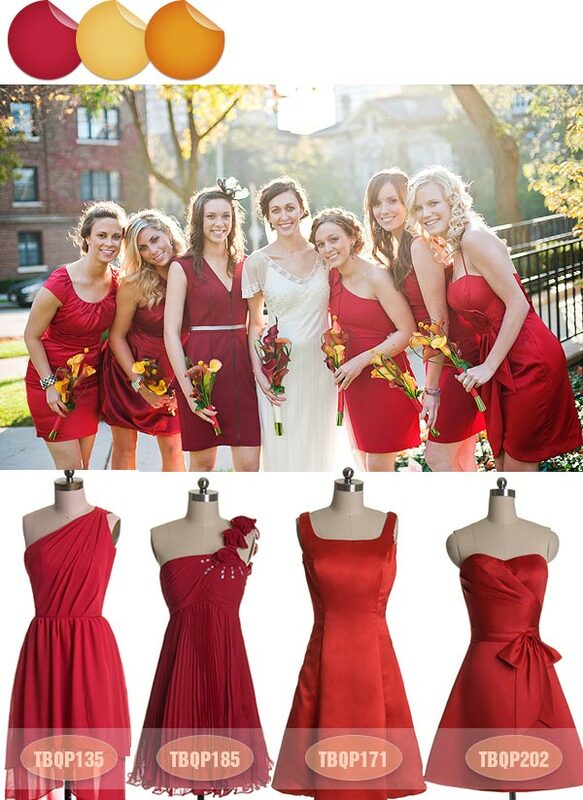 For more fall bridesmaid dresses 2013, please view Tulle & Chantilly Bridesmaids Collection, also welcome to customize your own fall colors 🙂 Any questions, feel free to contact us at [email protected]!